We are very proud that the RT290 comes equipped with Human Sensoring technology. That’s right, it will sense when a human is close by and sound an alarm for the Operator. While never something an operator should rely on, this feature adds an element of peace of mind on the job site. We all know that more moving parts and more equipment creates opportunity for risk. 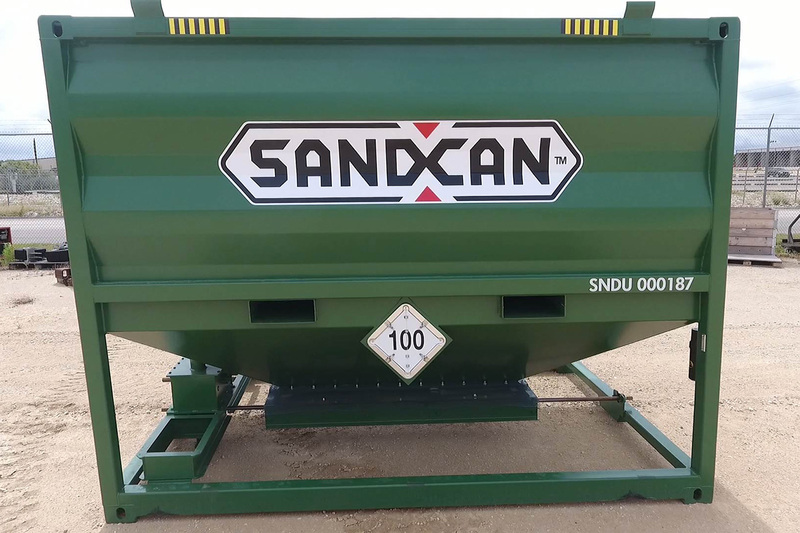 The SandCan System is simple. 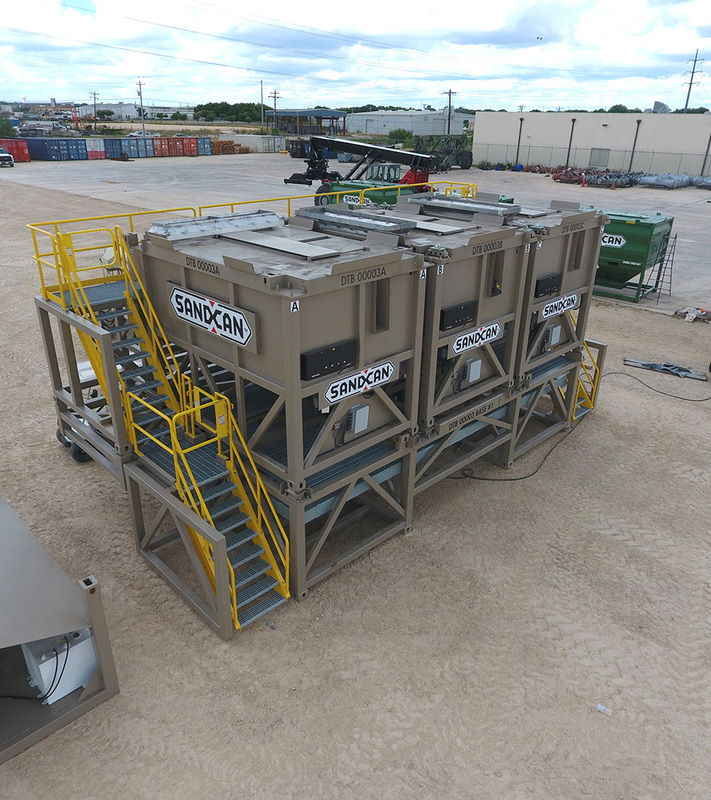 It does not have conveyors, belts, blowers, elevators, etc., so not only are there less things that can break down, but there are less things that can create risk on a job site. 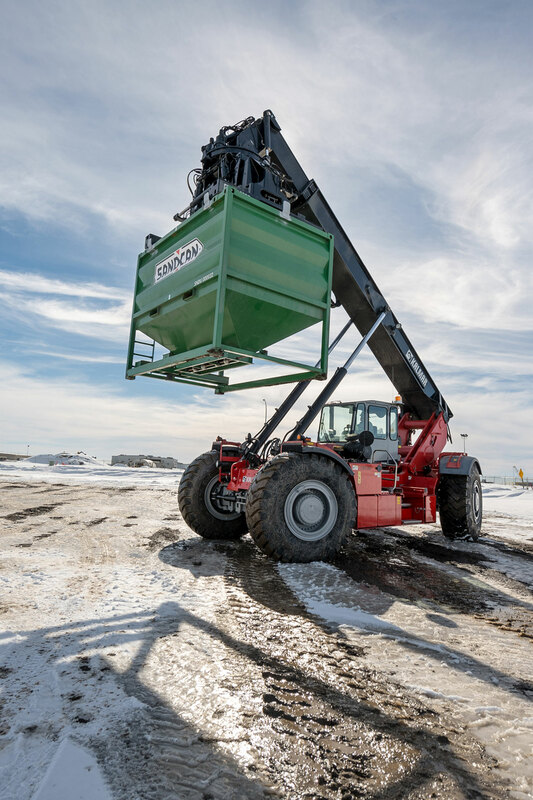 In addition, because of its simplicity, fewer ground personnel are needed in the first place, all of which helps create a more safe work space. Furthermore, due the dramatically increased turn times, fewer drivers are needed to service more volume, there are literally less drivers on the road. 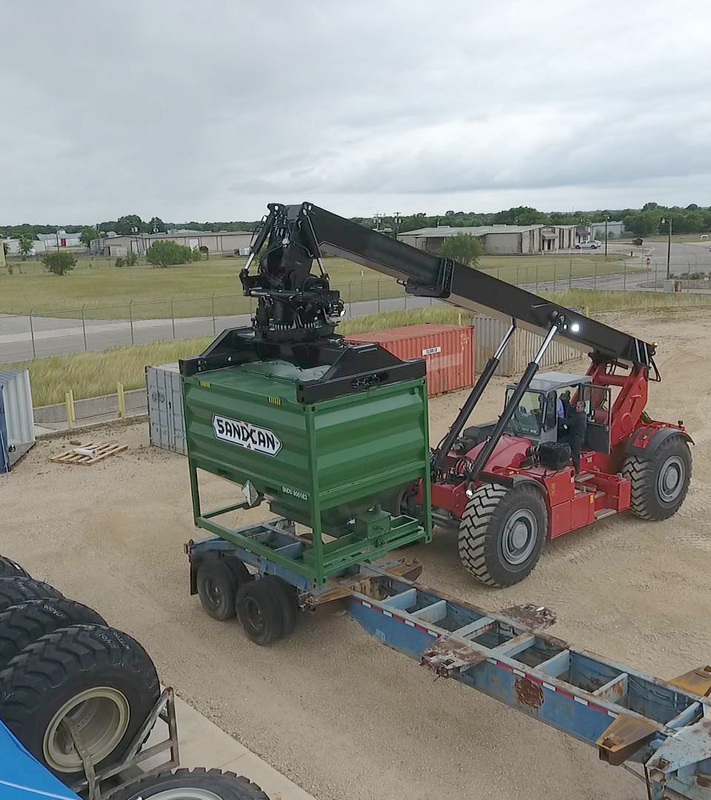 The Direct to Blender Feed System has engineered outriggers to add to stability. 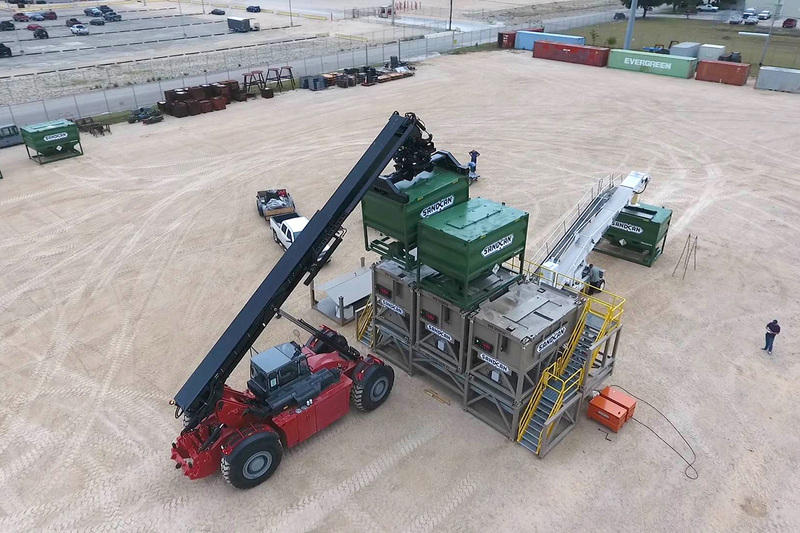 It also greatly reduces dust due to its direct connection from the SandCan to the Direct to Blender Feed System. 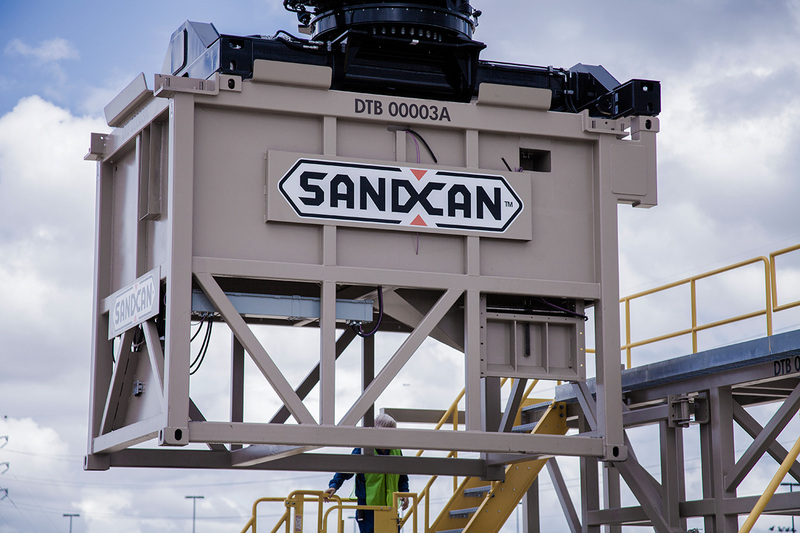 While no system is 100%, the SandCan system can help keep employees keep safe. 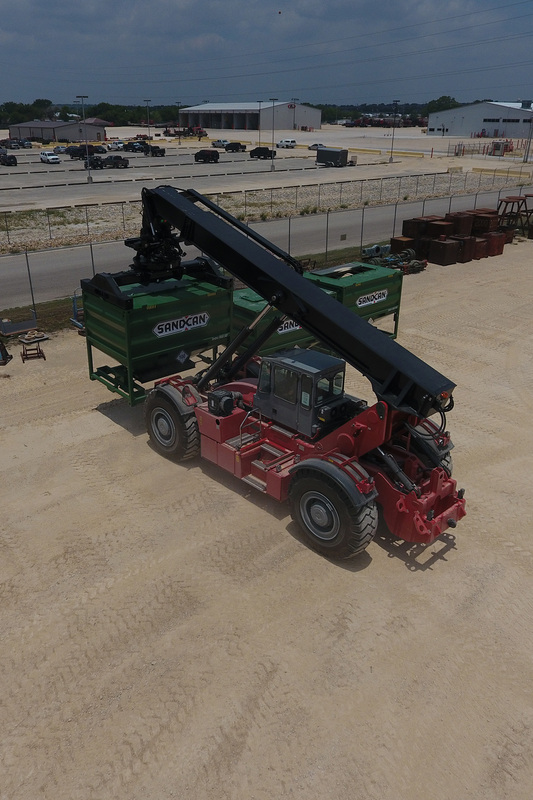 Finally – The RT290 boasts over 100 safety features, including HUMAN SENSORING technology, 360 degree visibility, significant stability over forklifts, and many more, which help overcome the potential for operator. See PDF for details. 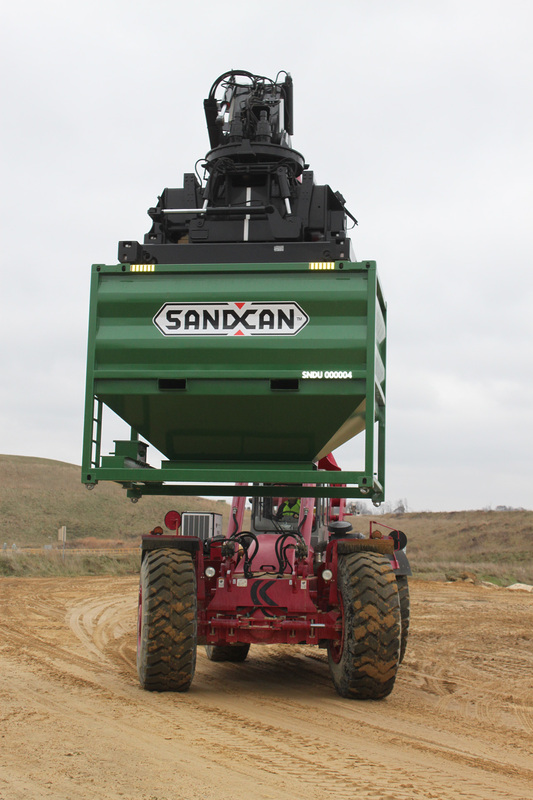 The SandCan System allows for rapid unloading at the job site, which keeps trucks moving. Trucks moving means less trucks ($), less truck drivers ($), more miles for those drivers ($), and more money for those drivers ($). 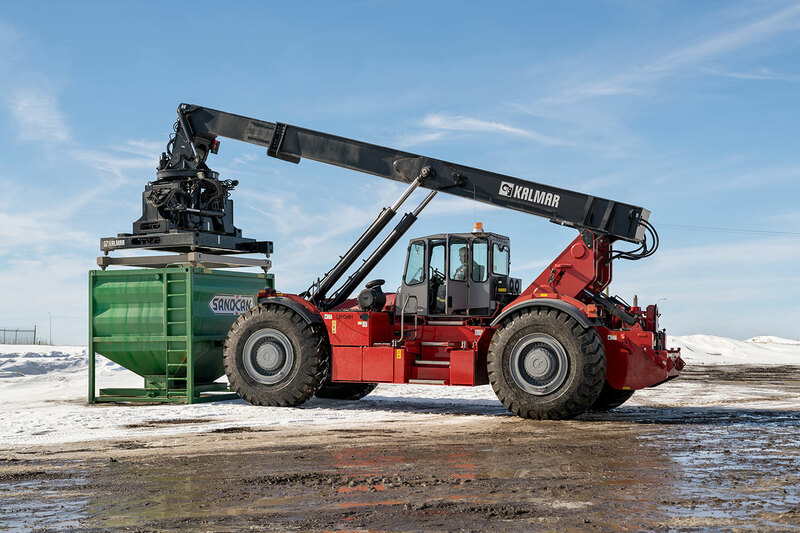 Demurrage risk is greatly reduced and the need for specialized equipment is also reduced, opening up your options for potential transportation companies. 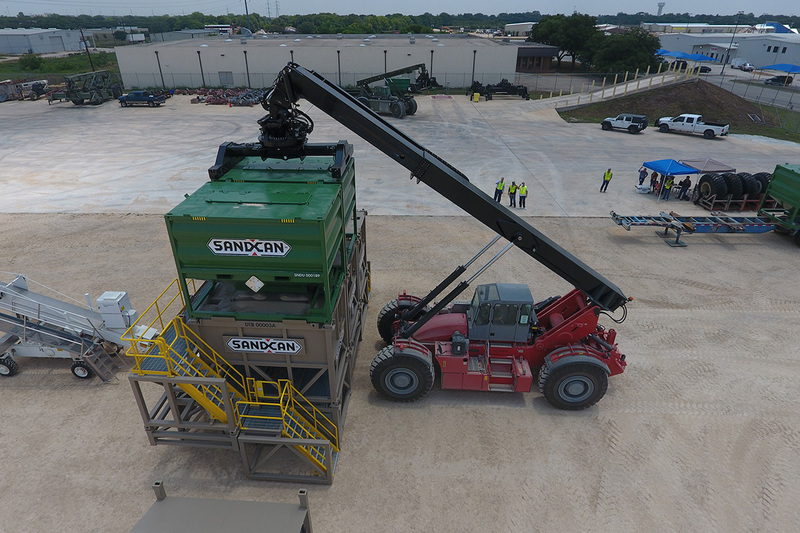 SandCans can unload as quickly as 3 seconds. 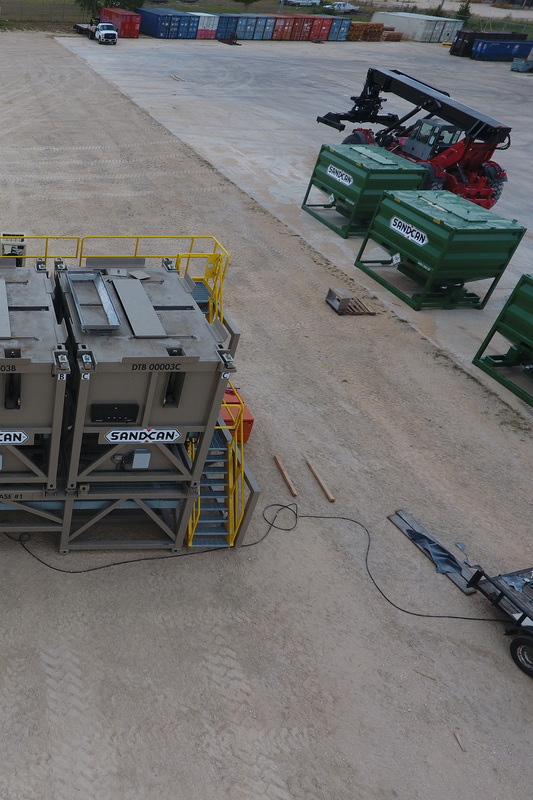 One full cycle of switching SandCans can be performed in just 2-3 minutes. Compare that with all sand systems! The RT290 is a workhorse. 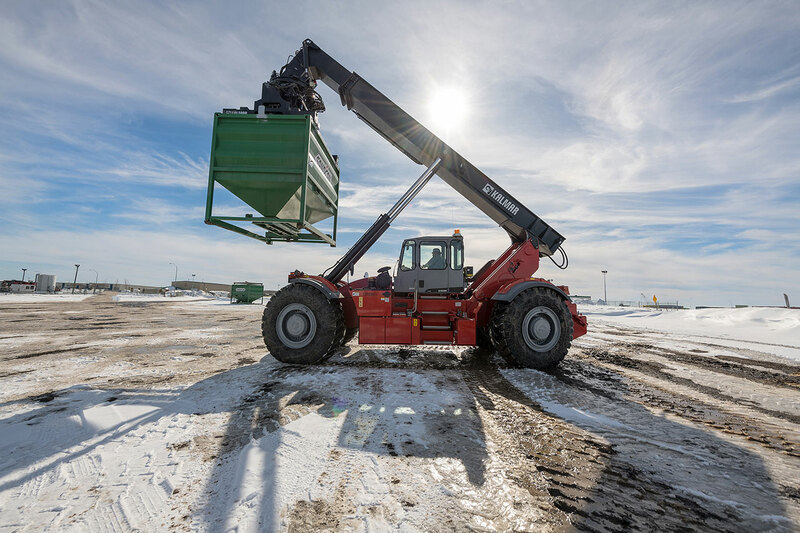 With proper attachments, the RT290 can perform the job of several pieces of equipment that add costs to your operation today (think crane, forklift, modularized chemical storage, etc.). 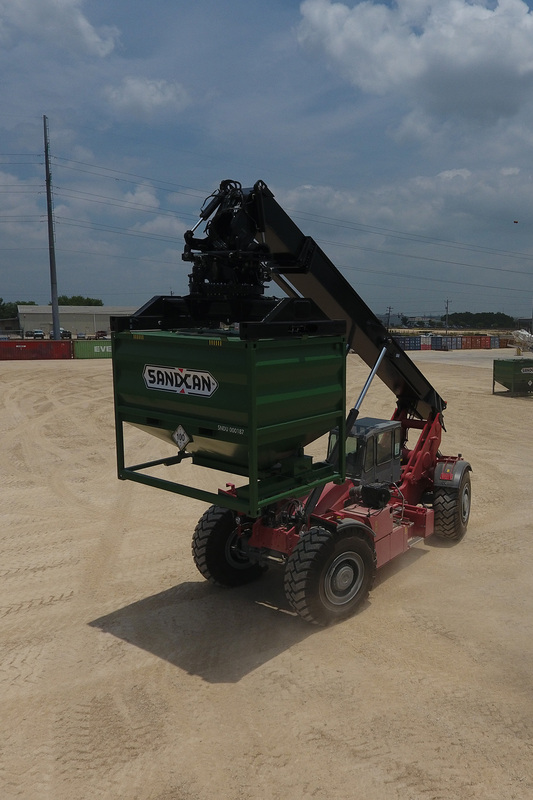 See PDF and call SandCan today for additional insight in the versatility of the RT290. 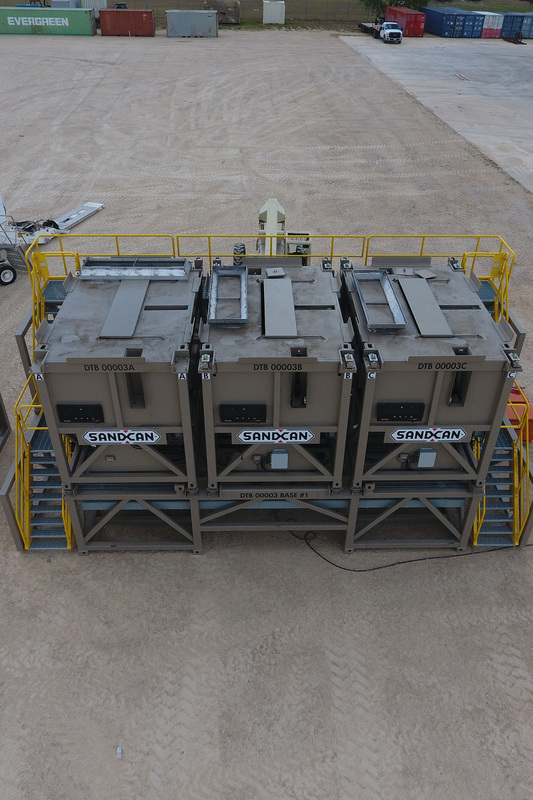 To top it all off, due to its modular design, the SandCan System is quick and easy to set up, mobilize and demobilize, and even transport. The SandCan System creates value is a variety of different ways. 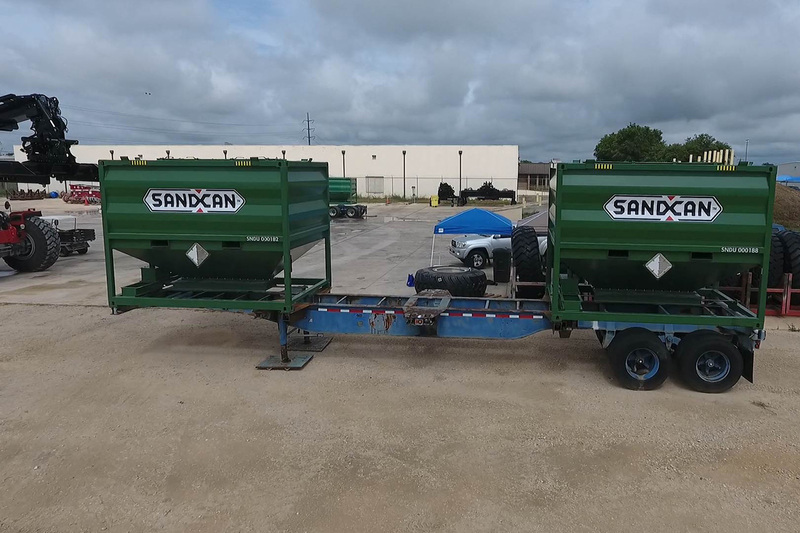 Whether it is the durable 24 short ton SandCan itself, the up to 120 ton Direct to Blender Feed System, the world-class versatility of the RT290, the elimination of belts, buckets, and blowers, the added safety, quick mobilization, reduction of rig matting, or the simple ease of operation, SandCan’s total value is unsurpassed! To think about how many functions can be eliminated today with our entire system, or adapted to the RT290 to simplify the work on the jobsite. The SandCan System changes the game in so many ways. 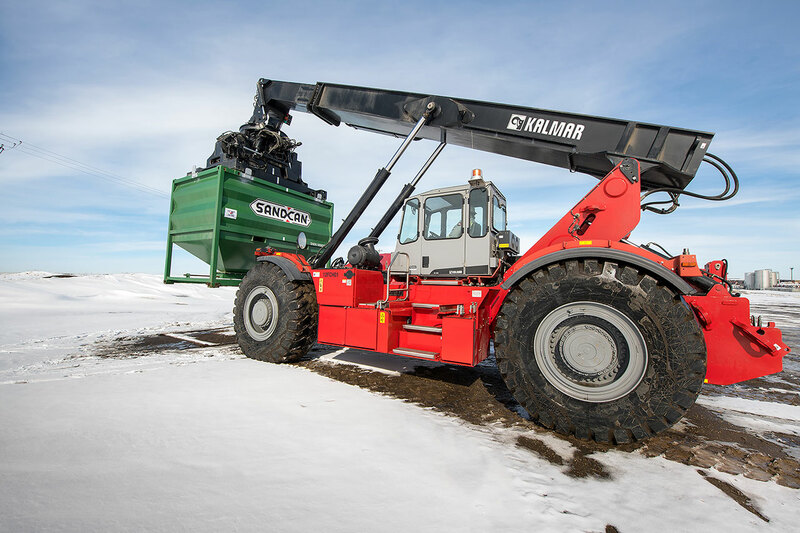 Operators can place forward inventory to create shorter runs (think hub and spoke) for servicing the job site. 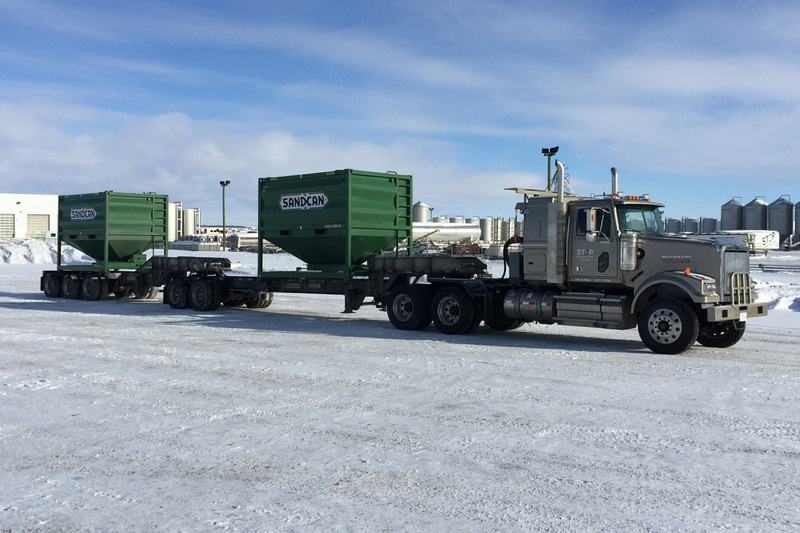 This can help mitigate road conditions, traffic congestion, and seasonal interruptions, not to mention service multiple job sites from one forward placed location. 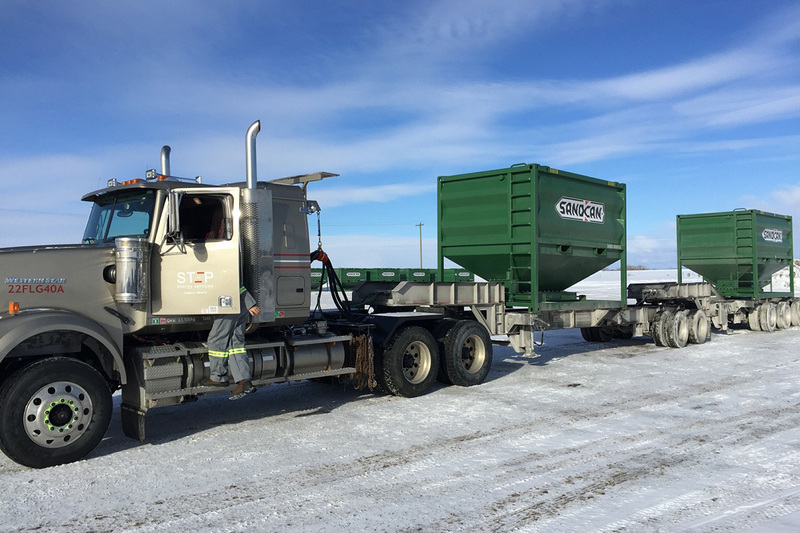 Footprints can be smaller, turn times can be decreased, fewer trucks are needed to service a job site, more trucking companies become options to do business with, complicated equipment is removed and limited ground personnel are needed. The cherry on top is the RT290! With its over 30 years of U.S. Military design and reliability as the foundation, the RT290 is a multi-use workhorse. 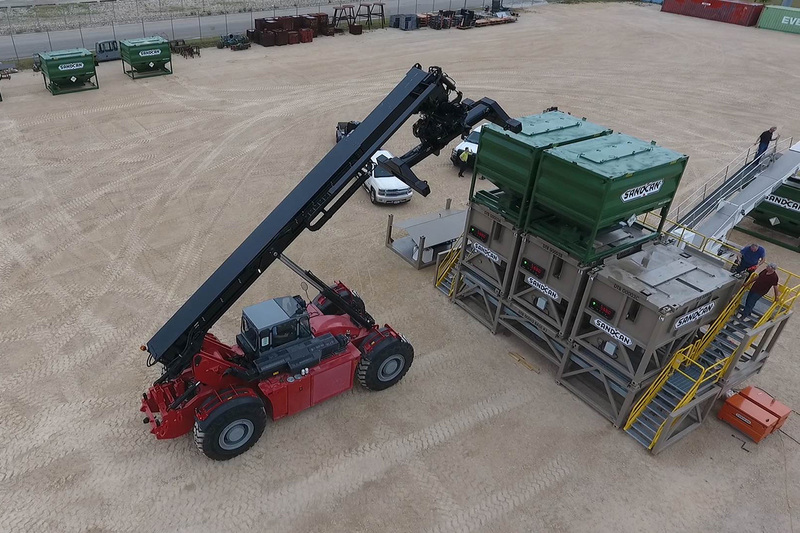 Much of the expense and hassle of mobilizing other equipment simply becomes a thing of the past. See the RT290 PDF for more.